Lighted Christmas decorations give your yard a festive look during the holiday season. 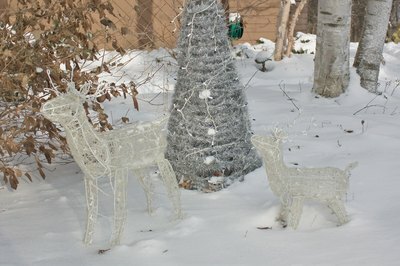 These lighted holiday displays are a great way to spread holiday cheer in your neighborhood, so it can be frustrating when your metal deer silhouette refuses to light. These lawn ornaments tend to be expensive, but they can continue to be a pleasant holiday tradition if you take proper care of them. Troubleshooting these decorative yard ornaments is not difficult, although it does require some patience. Check the electrical outlet. Sometimes the metal deer or other lawn ornaments will trip the circuit. Try plugging it into another outlet to see if that is the problem. Inspect each bulb to see if it is broken, loose or black. 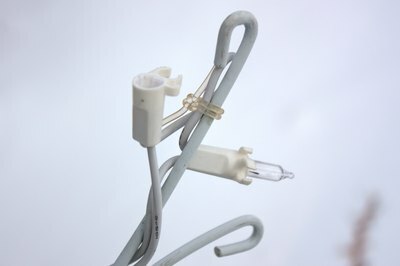 Twist any loose bulbs gently to tighten them, and replace any broken or black bulbs. Check the connections where two strands of light join. 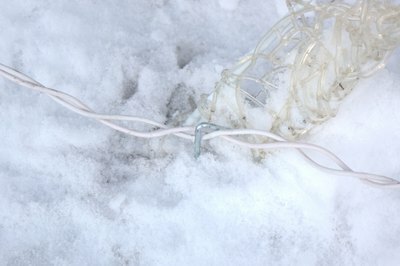 Often, metal deer ornaments have separate connections; make sure each one is securely connected to the others. Replace any missing light bulbs. 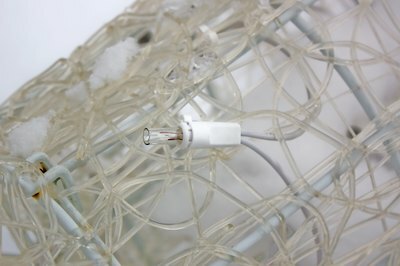 Generally, an entire strand of lights will not work if even one bulb is loose or missing. Check the stakes holding and supporting the deer ornament in the ground. If one of them is pressing too tightly against any of the wiring, this may be your problem. Reposition the stake. 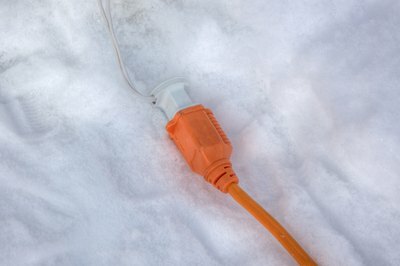 Examine the extension cord and any switches on the deer to make sure a switch or foot pad is not accidentally in the "off" position. 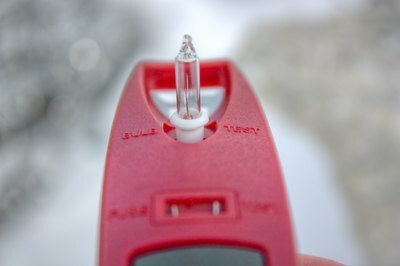 Use a light tester to check each bulb. 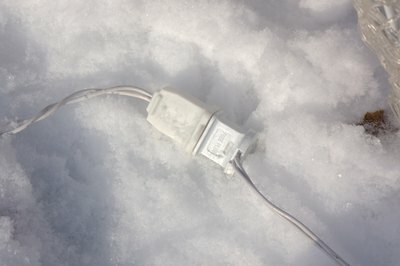 These are inexpensive and can pinpoint a bad bulb even if it is not broken or black. You can buy a light tester anyplace where Christmas decorations are available. Wrap the metal deer silhouette carefully with bubble wrap or other protective material before you store it for the next year. Alternately, if you still have the original box it came in, you can store it in that. 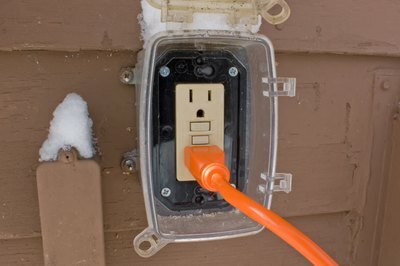 Unplug the lights before replacing any broken bulbs or bulbs that are burned out. This will prevent electrical shocks.